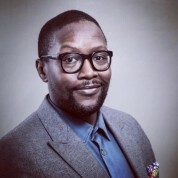 Mandla Sibeko set up his own investment business, Seed Capital Investments, through which he has various interests in the small business sector. Through this company, he has partaken in a number of related media, retail, property and e-procurement acquisitions, including becoming the owner of the Pick n Pay Family Supermarket in Kliptown, Soweto. He also holds a 40% stake in Icon SA, a partnership with a UK-based global stadium and City dressing company that branded the 2006 German FIFA World Cup. Mandla Sibeko ventured into the media industry by creating his own production company. In addition, Mr. Sibeko is a founding member of several investment initiatives focusing on the empowerment of young people, with key investments in food, retail, media and clothing industries. He also serves as a Non-Executive Director of Paarl Print and Paarl Print, Paarl Labs – the largest magazine and commercial printer in South Africa and part of Media 24 Group, as well as serves as a Trustee Board Member of loveLife, an organization devoted to HIV/AIDS education and awareness-raising.